Edit: I updated my RP GIT server and made more notes here. 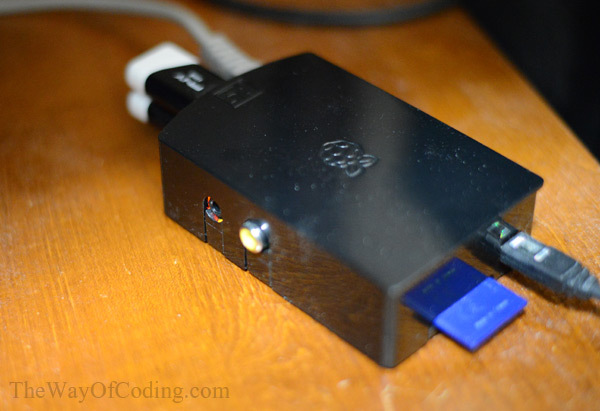 Here are my notes for setting up GIT on Raspberry Pi and using a Windows client (TortoiseGit). I’ve been using this little thing as a GIT server for around 5 months now and I love it. Here is the quick notes I took while getting things setup. It’s probably really disjointed, but you might find some helpful tips in here. Format your SD card using the SD Card Association’s formatting tool. When greeted with the post install program, find the advanced option to enable SSH. You can also change your password from there. 2017 Edit: I’m in the process of installing it on a larger SD card. Anything over 32GB will probably require an extra formatting step detailed here. The current install takes the user directly to the GUI operating system after it is finished setting things up. You need to go into the start (raspberry) button >> “Preferences” >> “Raspberry Pi Configuration” to find options. From there you can switch it up to boot from the command line instead of the GUI. Once you are setup, you can slim down what NOOBS pre-installs into the OS thanks to this person who made this script. Create the local repository by adding a folder to your computer and right-clicking on it and selecting “Git create repository here…” from the context menu. Use Puttygen to make the keys, save both the public and private keys. Name the private key with a .ppk extension. Seems to be optional if you do everything on the same local network. You can use TortoiseGit to set things up. Right-click on the main folder. Select Git Create Repository here. From there you can add server details. Remote: A name you want to call it. Where X.X.X.X would be the IP address of the new server on your local network. The Push URL is the same as the URL. All of the other options can be left default unless you made a Putty Key earlier. Select something like “Git Sync…” when right-clicking on your repo. I have the RP setup with two USB thumb drives as backup. Right now they are setup as RAID 1 and get updated with a program called Unison. That’s everything so far. Though, what I need to do is make a backup of the OS SD card, but I haven’t done that. This entry was posted in General and tagged cheap git server, git, git server, local git server, notes, raspberry pi, setup notes. Bookmark the permalink.